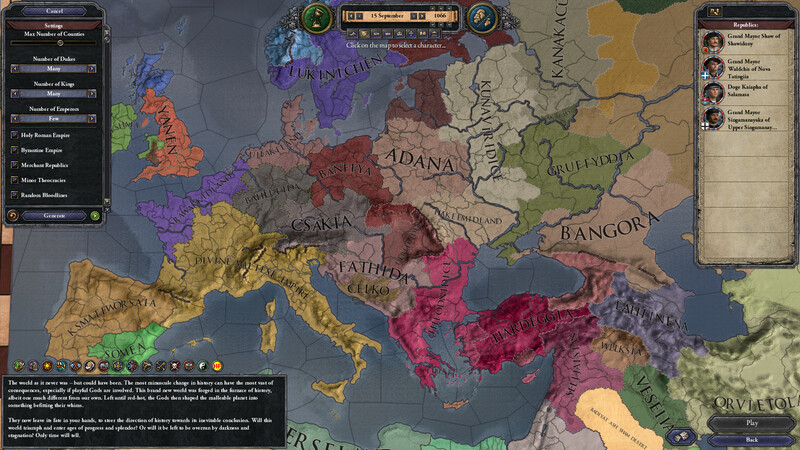 Expansion Crusader Kings II Holy Fury — anyone who played for Asturia knows perfectly well — in half the cases this kingdom will cease to exist even before the death of the first ruler. Now the situation has seriously changed. First of all, at the start of the game, Asturias has 2000 event troops, which, while not being replenished, do not require maintenance. With these troops, our kingdom becomes equal to the strength of its Arab neighbors. Secondly, the new mechanics of reconquista allows you to walk around Spain through a steamroller. Yes, for its launch costs of prestige, piety and money are required, moreover, it is available once during the life of a ruler. But the pros are much more. After the start of the reconquest, you have two years to declare war. The purpose of the war at the same time become two dukedoms at once, which compares favorably with the usual «holy wars». Asturias begins the game with an electoral monarchy. Previously, such a system of inheritance created many problems — the player, in principle, did not understand why the electors vote for one candidate or another. Now everything has changed. In a separate window, now all factors affecting who will be given the vote of each elector are displayed. Life has become better, life has become more fun. Download & install Update v3.0.1 / v3.0.1.1 / v3.1.0, in game folder. - Added unit_graphical_culture, unit_graphical_cultures override for unit models in culture database. - English portrait pack should now display properly in early start dates. - Custom message settings should no longer be overwritten by default values at the start of the game. - Fixed Legendary Journey not getting any progress the second time you start it. - Fixed children generated for historical rulers without scripted families having 0 in all attributes and getting no childhood traits. Also applies to all children generated through "create_character". - Blocked Holy orders from spontaneously building Tribal holdings. - Fixed missing effects and tooltips for receiving news of the Aztec Invasion - if you have certain Vision modifiers (from the Hermetic's Scrying Power) it will now properly update your Seer modifier, while also explaining what happens. - Fixed the crucible steel event chain sometimes breaking just before its final outcome. 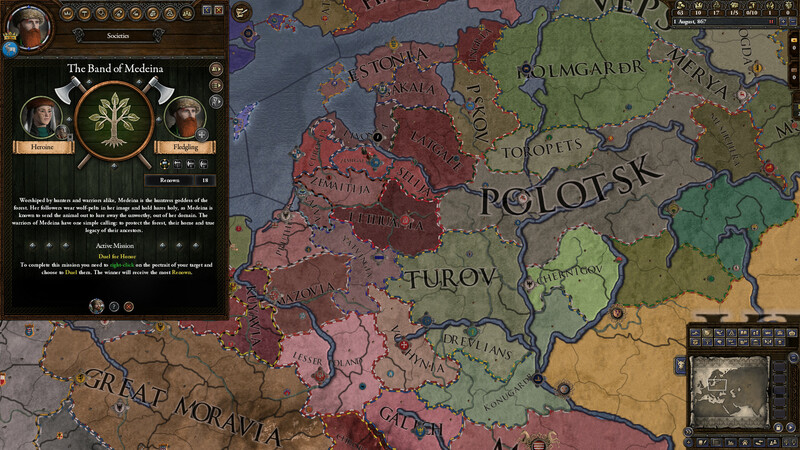 - Having a Non-aggression Pact with the target of a Crusade will now lead to it automatically breaking once the Crusade is launched, allowing you to join the war. - Made Songs of Byzantium work for Roman culture as well as the Byzantine group. - Fixed issue were the continue playthrough buttons would load the wrong save if your latest save is a cloud save and you have a local save with the same name. - Fixed the Saintly Pilgrimage chain sometimes breaking after the weird village encounter. - Fixed the Ritual Hunt chain for Warrior Lodge members sometimes leaving you stuck as "busy", if you chose to simply return home at the end of the chain. - In the events surrounding a loved one's death, you will no longer be expected to grief and bond together with characters who are in prison. - Made conditions to gain the Peaceful Child Forged Bloodline somewhat more lenient so that it can actually be achieved. - Fixed several Bloodline-related events and actions not properly checking that a Bloodline is active on the character in question. 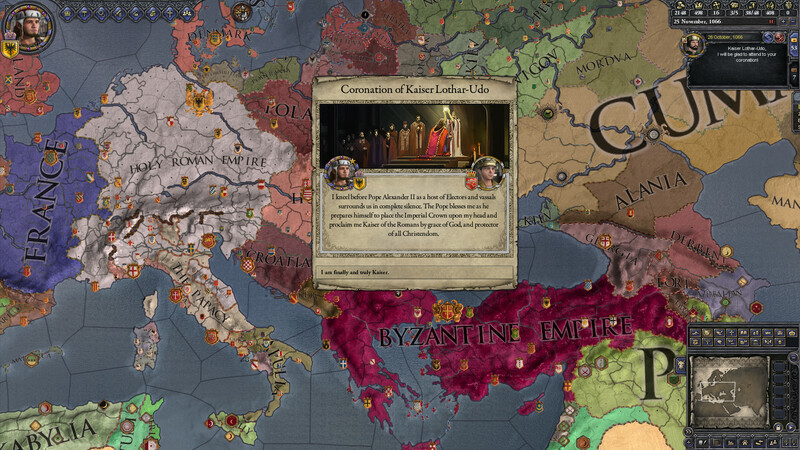 - Fixed holes in the reconquered Roman Imperial Provinces events. - Slaying an enemy ruler in a battle will no longer display them as your "acquaintance" in messages. - Ships will no longer cut straight through Kanin/c_kanin when coming into port from the North Atlantic.